Although the final results have yet to come in and the new coalition has yet to be formed, it’s nearly certain that Benjamin Netanyahu will stay on as Prime Minister, propped up by a coalition of small right-wing and ultra-Orthodox parties. Netanyahu sunk to new lows this election in his attempt to hold on to power. Prior to the election, Netanyahu made pacts with far-right extremists who advocate expelling Palestinians from “the Land of Israel”, and promised to officially annex West Bank settlements. And on election day, his Likud party distributed about 1,200 hidden cameras to observe Palestinian citizens of Israel, which dissuaded them even further from going to the polls. As it turns out, this was a calculated move to limit Palestinian representation in the Knesset and potentially boost the share of the vote for far-right parties, all the while appealing to anti-Palestinian voters. This is notably all in the shadow of corruption charges that may very well land Netanyahu in jail. Evidently, this did not seem to faze a large percentage of the Israeli electorate. Nor did the increasingly racist and violent rhetoric coming from the Knesset. 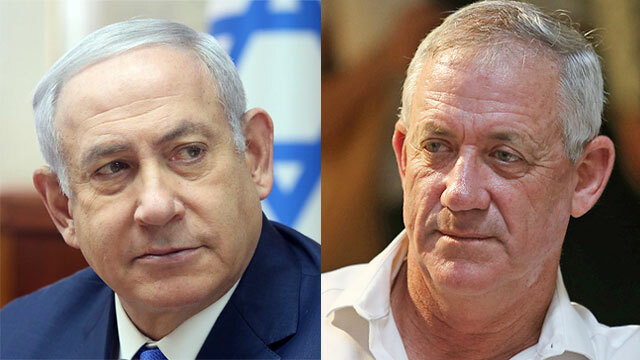 Be it with presumed opposition leader Benny Gantz or presumed Prime Minister Benjamin Netanyahu, what is clear is that a majority of Israelis prefer to maintain the status quo, or worse. While the status quo may be preferable to most Jewish-Israelis, it is completely untenable for the other half of the population–Palestinians – living under Israeli control between the Jordan River and the Mediterranean Sea, most of whom are denied the right to vote. Nor is it tenable for the millions of Palestinian refugees whose right to return continues to be denied. Israelis will not simply vote away the occupation or grant equal rights to Palestinian citizens of Israel. It’s only through grassroots action and external pressure–including Boycott, Divestment and Sanctions (BDS)–that the situation will improve. For Palestinians and for Israelis. Collectively. This is not the time for Canada to boost preferential trade deals with Israel. It’s the time to ramp up the pressure and take a stand for justice.